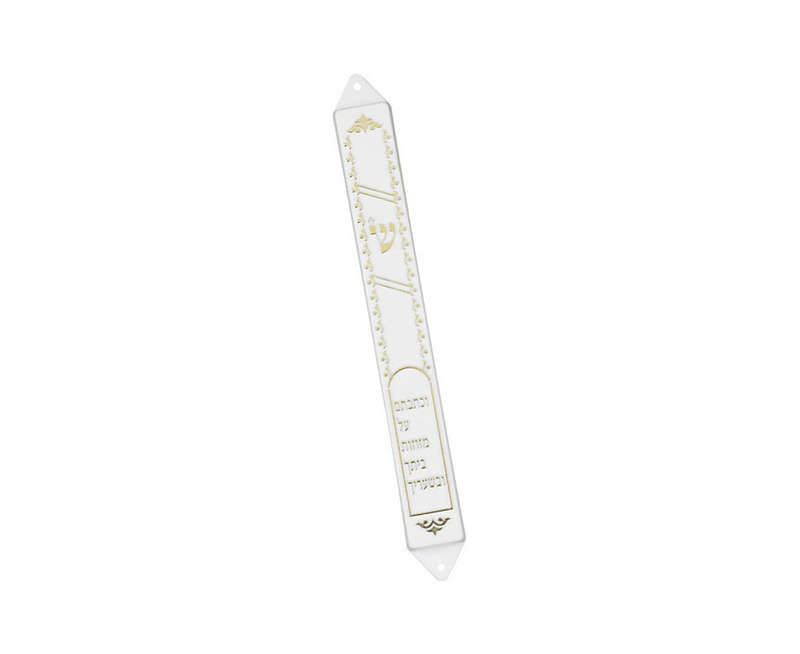 This plastic mezuzah case is white with gold colored accents. The Hebrew verse with the commandment of mezuzah and the “Shin”, the Hebrew alphabet letter that represents G-d’s name as the guardian of the home, decorate this case. The case has two holes on each end allowing it to be easily affixed with nails to the doorpost. This case is not waterproof and as such should be used indoors only.